Unsure of your home’s value? Please enter your e-mail address to receive tips on getting a lower interest rate and fees. View tips on getting a lower rate. 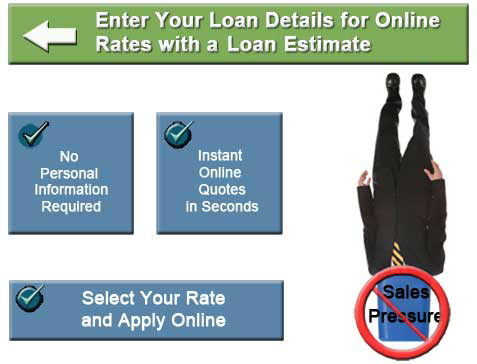 All online rate and payment quotes issued by Close Your Own Loan.com's online mortgage system assume a middle credit score of 740 or higher and a debt to income ratio under 43%. There may be adjustments to the terms depending upon your actual credit score, debt to income ratio, county loan limits, etc. The minimum credit score required is 620. Not all applicants will qualify.